The Conway Noon Lions Club held its annual Conway Educators of the Year Golden Apple Awards Luncheon April 9 at the Antioch Baptist Church. Teachers from the Conway Public Schools, St. Joseph, and Conway Christian all received framed certificates and had their names added to engraved plaques displayed on their campuses. 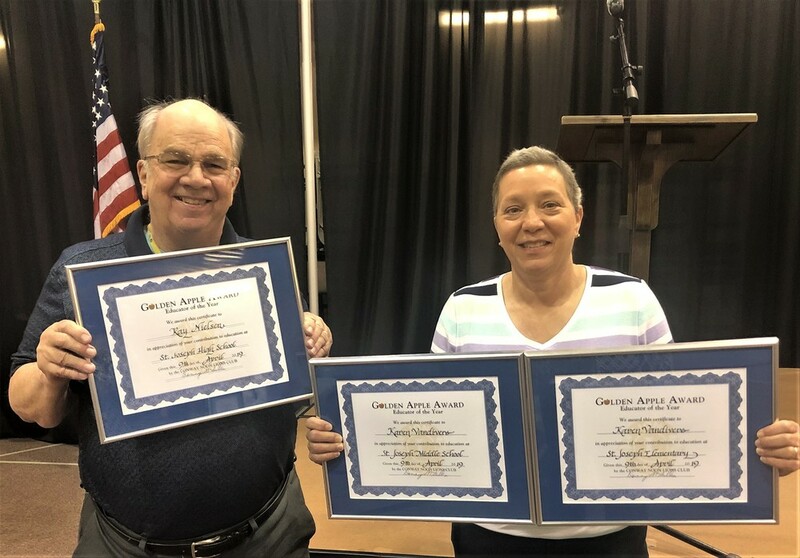 High school journalism and Arkansas history teacher Ray Nielsen and physical education teacher Karen Vandivere were recognized by Principal Diane Wolfe. Both were selected by their respective peers. Ms Vandivere was chosen by the faculties of the Elementary and Middle Schools.